"I struggle with two sides of my mind," says vocalist Josh Todd. “There's the side that wants to be really bad and the side that really wants to be good, and this is a constant battle with me. So that's what 'The Madness' is about, and I just felt like the chorus came together really well." The group will issue “Rock N Roll.” on their own label, F Bomb Records. 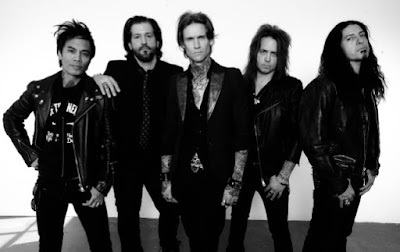 Buckcherry will begin a fall US tour on August 28 in Sayreville, New Jersey.